Chandigarh: As many as 33 hospitals in Punjab have been found to be violating pollution control norms and strict action has been initiated against them, an official said. 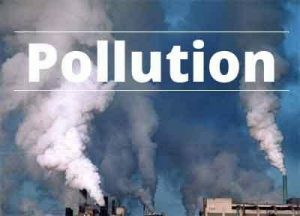 Officials of the state pollution control board today conducted raids at different hospitals in the state, Punjab Pollution Control Board (PPCB) Chairman K S Pannu said. Asserting that the board would follow a zero-tolerance policy regarding disposal of bio-medical waste as it can spread deadly diseases, he said strict action has been initiated against hospitals violating the guidelines set to control pollution. Pannu appealed to medical professionals to follow the procedure laid down for disposal of bio-medical waste as it was a major environmental irritant that required special handling and management. “PPCB officials have been directed to keep a constant watch on the hospitals for ensuring proper disposal of bio- medical waste,” he said. Pannu said the state pollution control board has constituted a number of teams headed by its environment engineers to inspect the hospitals. “The PPCB has already provided detailed guidelines to the hospitals for handling and management of bio-medical waste which is collected by specialised agencies authorised by the board,” he said. “Around 14 tonnes of bio-medical waste is being collected daily by specialised agencies whose vehicles have been fitted with centrally-controlled GPS system,” Pannu said. There are around 10,000 hospitals in the state including the those run by the government.